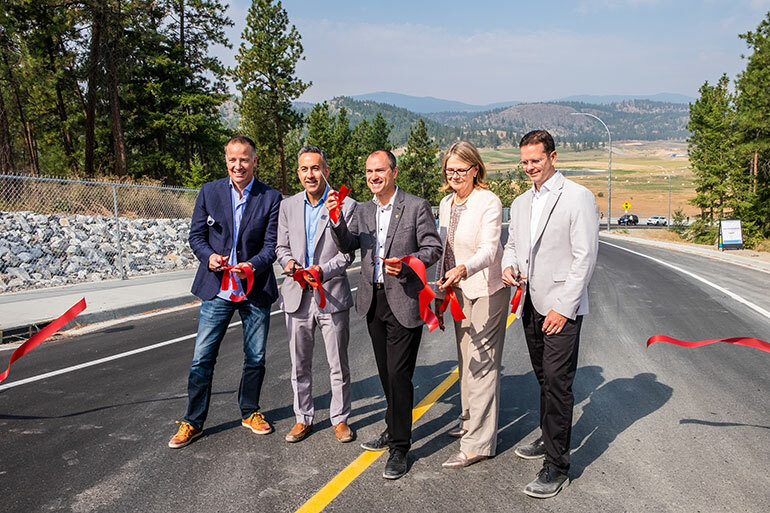 The City of Kelowna celebrated the opening of John Hindle Drive, the newest western access route to UBC’s Okanagan campus, in an official ribbon cutting ceremony on September 7. Located on the western edge of campus, the 1.8 kilometre John Hindle Drive expansion connects Glenmore Road with UBC Okanagan and Highway 97, as well as providing a new access for cyclists, pedestrians and vehicles. The project includes a separated multi-use pathway and a pedestrian footbridge to allow safe passage for students, faculty and staff commuting from the neighbouring communities. The new expansion is an important development for a campus that itself continues to grow. With UBC Okanagan expecting the highest student population in its history this year, Einarson says growth and development are common threads throughout the university and ones that mirror the growth of the entire region. “We’ve already had an extraordinary week welcoming a record 9,945 students to campus, up about 900 from last year and nearly triple from when we first opened our doors in 2005,” he says. 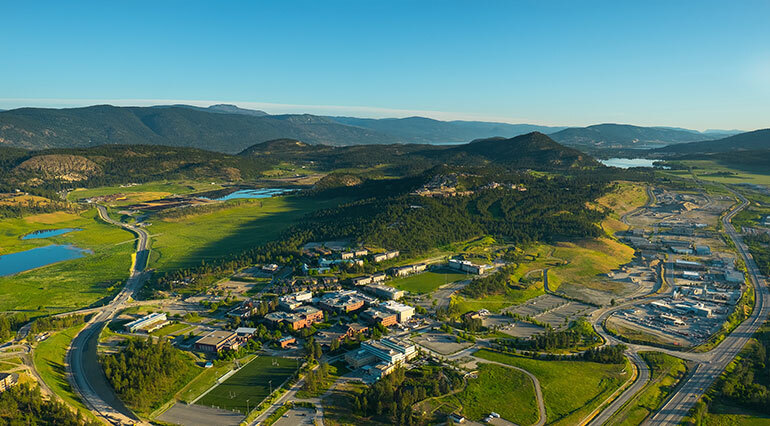 “We know that our students, faculty and staff have a variety of options of where to live in the Okanagan and now have improved options for getting to campus, including shorter and safer commutes for vehicles, as well as improvements to public and active transportation. Einarson is quick to point out that the new infrastructure was made possible thanks to an investment of $11 million from local, provincial and federal governments. “Our entire university is thankful to the Government of Canada, the Province of British Columbia and the City of Kelowna for their partnership and commitment to these initiatives,” he adds. From left: Stephen Fuhr, MP for Kelowna-Lake Country; Colin Basran, Mayor of Kelowna; Norm Letnick, MLA for Kelowna-Lake Country; Deborah Buszard, Deputy Vice-Chancellor and Principal of UBC Okanagan; and Rob Einarson, Associate Vice-President Finance and Operations.